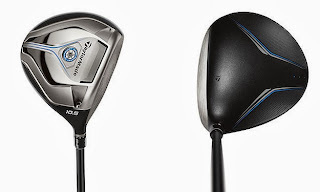 Four months after TaylorMade launched its SLDR driver at the John Deere Classic, the company announced the addition of a new line of woods (driver, fairway woods and hybrids) called JetSpeed on Monday. According to TaylorMade officials, JetSpeed, which is set to replace the existing RBZ Stage 2 woods in December, is the first driver that features the new Speed Pocket in the sole (TaylorMade added a Speed Pocket to the SLDR fairway woods). With a shallower head and low, forward center of gravity (CG) -- similar to the CG characteristics of SLDR -- the combination gives JetSpeed a sweet spot that's 25 percent larger and extends lower on the face than RBZ Stage 2. It also helps increase ball speeds and reduce spin on shots hit low on the face. For the first time Tuesday, Rory McIlroy admitted that all of the off-course distractions have had a negative impact on his game this season. “I've obviously got people to handle that stuff for me and I only see a fraction of it,” he said in Dubai, according to The Telegraph. “But it’s something that shouldn't be in my mind. You know, it’s something that I don’t really think any athlete or anyone should go through. McIlroy is being hit with a litigation double whammy, as Oakley is suing him for breach of contract and the 24-year-old is also embroiled in a legal battle with his former management company, Horizon Sports Management, which will be heard in court next fall. Ernie Els won’t make his debut in Tiger Woods’ tournament, after all. The Big Easy withdrew from next month’s Northwestern Mutual World Challenge because of a scheduling conflict. He will instead compete in the 30-player Nedbank Golf Challenge, where he will make his record 17th appearance and first since 2010. He is a three-time winner of the event. Els will be replaced in the 18-man field by Dustin Johnson, who recently won the WGC-HSBC Champions. Henrik Stenson was battling a wrist injury when he captured the $10 million FedEx Cup. Not much has changed two months later, as the Swede looks to go for an unprecedented sweep of the end-of-season prizes on both tours. Stenson still has the lead in the Race to Dubai standings heading into the season-ending DP World Tour Championship, but he might be forced to alter his pre-tournament preparations in order to rest his ailing wrist. He leads No. 2 Justin Rose by 213,648 points, but with the $8 million purse the top nine players in the standings all have a mathematical chance to capture the Euro Tour’s top prize. Stenson told reporters that he likely would pull out of Tuesday’s pro-am and have a “light practice session” on Wednesday. Adam Scott shot a 4-under 67 to win the storm-delayed Australian PGA by four strokes on Sunday. Scott and playing partner Rickie Fowler marked their balls on the 12th fairway after a severe storm warning suspended play with Scott holding a one-shot lead. When Scott returned, his iron shot from the fairway nearly holed out for an albatross and he made the 1-foot eagle putt. Scott was 4 under in his seven holes after the weather suspension. Fowler finished second with a 68. Making his first appearance back in Australia since his April win at The Masters, Scott finished with a 14-under 270 at Royal Pines. Scott joins Greg Norman, Craig Parry, Peter Lonard, Robert Allenby and Peter Senior as the only Australian golfers to add the Joe Kirkwood Cup for winning the Australian PGA to the Australian Open and Australian Masters titles in their careers. Those three tournaments are considered the Australian majors.